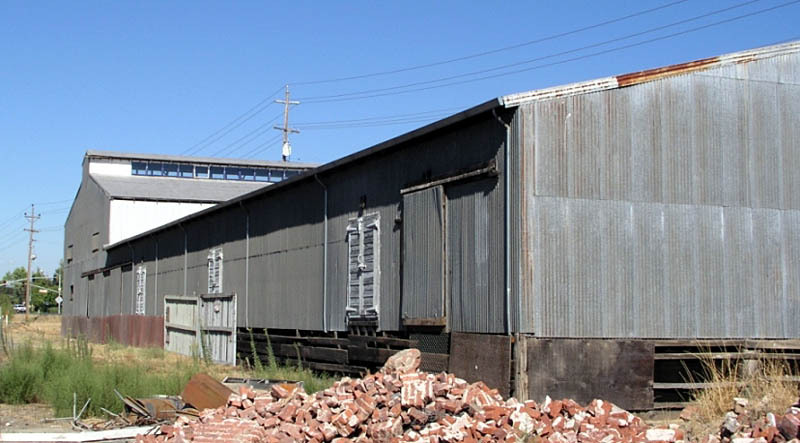 Copyright 2006, 2007, 2008 by James E. Lancaster, Ph.D. Individual web pages are viewable in a separate browser window by clicking on PageLink. Individual photos are viewable in a separate browser window by clicking on PhotoLink. 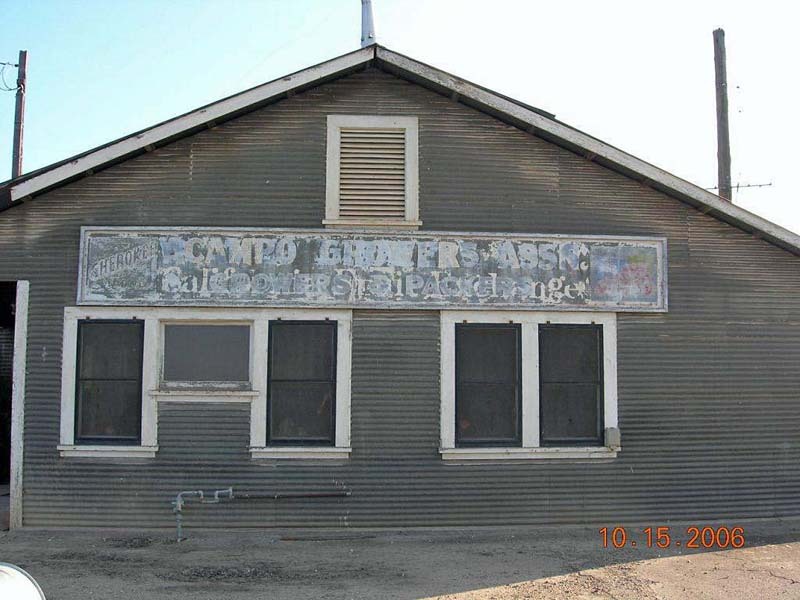 This interesting building belonged (or belongs) to the “Acampo Growers Association.” It was adjacent to the old Central California Traction (CCT) tracks north of Lodi, CA. 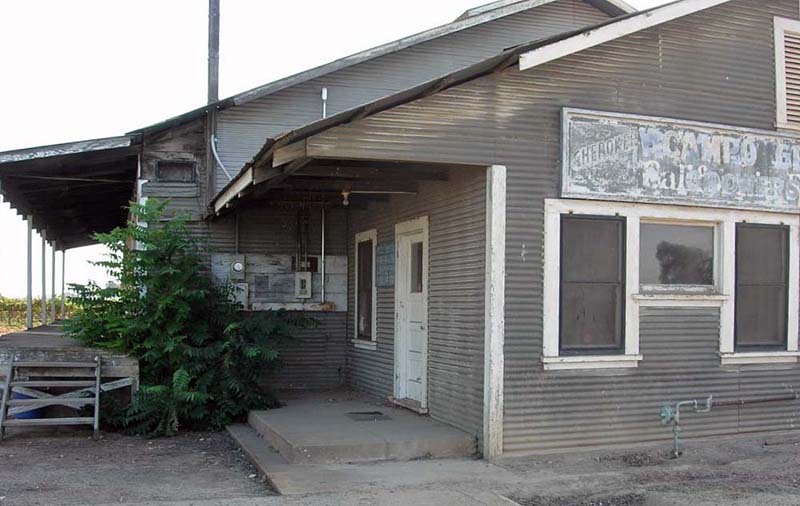 They packed Tokay grapes, a cash crop in the Lodi area. The above photo and the following two were taken by Gene Deimling on October 15, 2006. 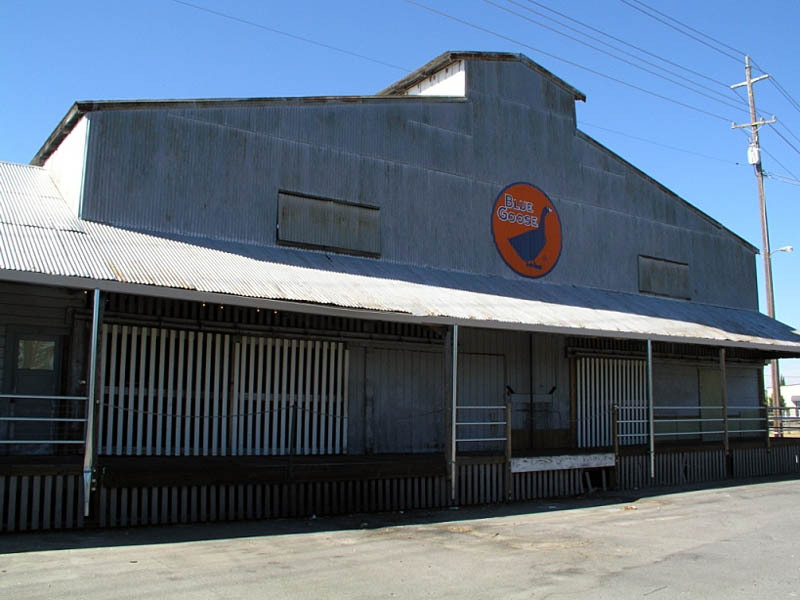 Gene Deimling photographed the Blue Goose packing house in Loomis, CA during the summer of 2004.